“Just as a fish may be barely aware of the medium in which it lives and swims, so the microstructure of empty space could be far too complex for unaided human brains." 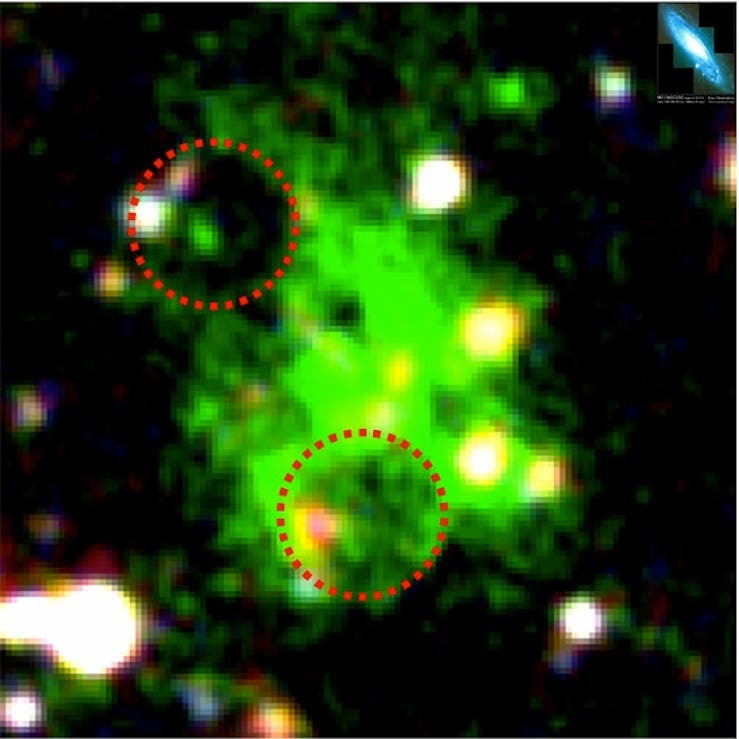 Blobs were first discovered about six years ago by visible-light telescopes, located billions of light-years away in ancient galactic structures or filaments, where thousands of young galaxies are clustered together. These large, fuzzy galactic halos are made up of hot hydrogen gas and are about 10 times as large as the galaxies they encompass. Astronomers can see glowing blobs, but they don't know what provides the energy to light them up. But they have a hunch. The Chandra X-Ray Observatory took this first x-ray picture of the Andromeda Galaxy (M31) on October 13, 1999. 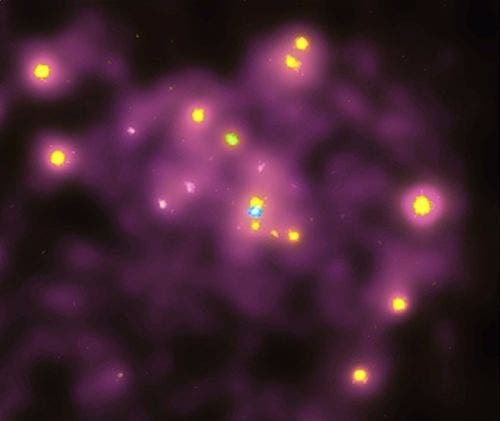 The blue dot in the center of the image is a "cool" million-degree x-ray source where a supermassive black hole with the mass of 30-million suns is located. 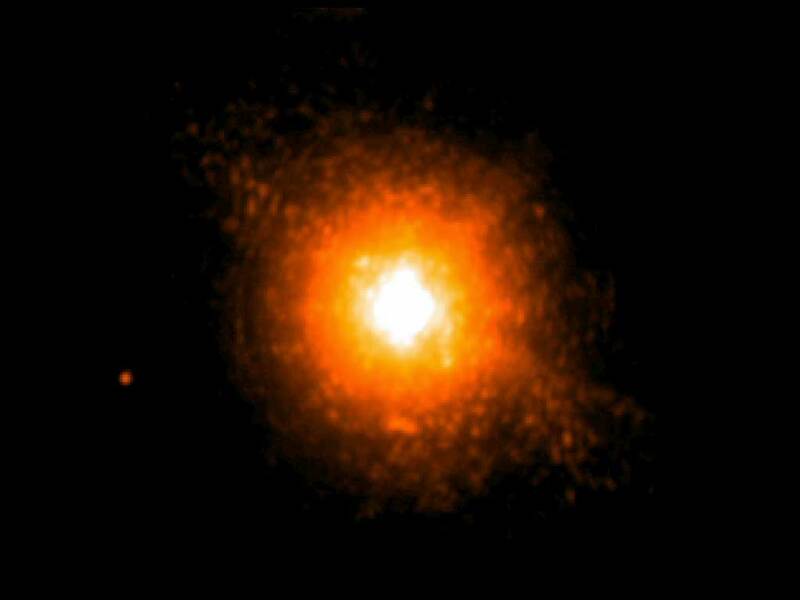 The x-rays are produced by matter funneling toward the black hole. 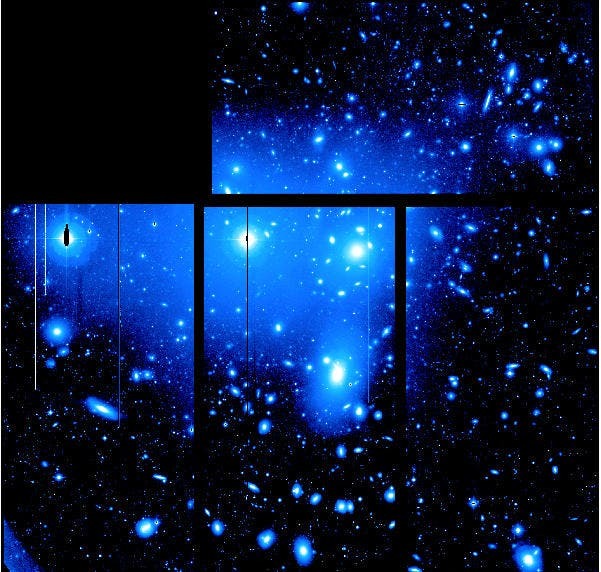 Numerous other hotter x-ray sources are also apparent. Most of these are probably due to x-ray binary systems, in which a neutron star or black hole is in close orbit around a normal star. NASA's Kepler Planet-Hunting Mission is providing astronomers with an inside view of what's happening inside red giant stars. "No one anticipated seeing this before the mission launched," said Steve Kawaler, an Iowa State University professor of physics and astronomy and a leader of the Kepler Asteroseismic Investigation. "That we could see so clearly down below a red giant star's surface was unexpected." One reason for studying red-giant stars is to understand how their habitable zones move farther out as the star's radiating surface becomes bigger. Based on how long it took for life to develop on Earth, scientists speculate that there is more than enough time during a star's giant phase for life to get a start somewhere in the evolving habitable zones. 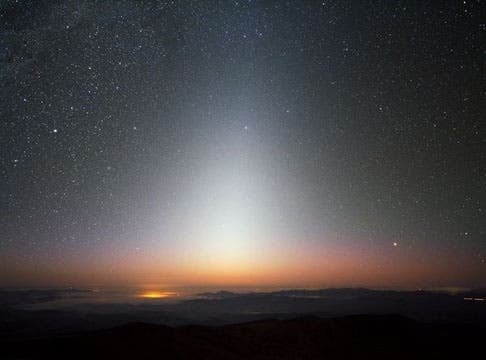 One of the rarest of Earth's astronomical events is a ghostly glow called the zodiacal light that the ancient Greeks believed was caused by distant volcanic eruptions. Visible in the Northern Hemisphere for the next two weeks, the phenomenon — caused by sunlight scattering off countless grains of microscopic interplanetary dust spread out to beyond the orbit of Mars — will be visible above the western horizon as a faint cone of light that extends halfway up the sky for about an hour after sunset. The vast majority of the interplanetary dust is concentrated within the plane of the inner solar system near the sun, making the dust grains combined with light appear along the ecliptic, the path in the sky each planet follows.